Hey people! Today I’d like to show you some modern Tibetan art. By saying “modern” I mean it was made in 20th and 21st centuries, but the designs and shapes are very traditional. 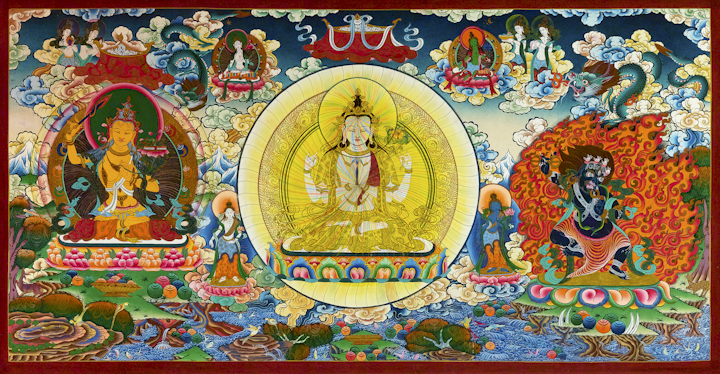 The few Tibetan thangkas I’d like to show you were painted by Romio Bahadur Shrestha.